Ahem, J.E. (1983) Briefing for Robert Williams on Second Law Thermodynamics, DARPA Copper Canyon manager, Washington, DC. Ahern, J.E. (1992) ''Thermal Management of Air-Breathing Propulsion Systems'', AIAA 920514, 30th Aerospace Sciences Meeting, Reno, Nevada, January 1992. Anfimov, N.A. (1997) ''In Searching for an Optimal Concept of Future Russian Reusable Space Transportation System'', Proceedings of the International Workshop on Spaceplane/RLV Technology Demonstrators, March 1997, Tokyo Japan, pp. 67-96. Anon. HyFAC (1970) ''Hypersonic Research Facilities Study, Prepared under NASA contract NAS2-5458. NASA CR 114324, October 1970. Anon. BAC (1991) ''An-225/Interim HOTOL Launch System Study'', British Aircraft Company Presentation to the European Space Agency, Paris, 21 June 1991. Anon. Lockheed (1967) ''A Study of Advanced Airbreathing Launch Vehicles with Cruise Capability'', Lockheed Report IR 21042, The Lockheed Aircraft Corporation, circa 1967. Anon. Hyperplane (1988) "Hyperplane" 39th International Astronautical Federation Congress, October 1988, Bangalore, India. Aoki, T., and Ogawara, A. (1988) "Study of LACE Cycle for SSTO Space Plane'', IAF-88-252, 39th Congress of the International Astronautical Federation, October 1988, Bangalore, India. Aoki, T., Ito, T. et. al. (1991) "A Concept of LACE for SSTO Space Plane'', AIAA-91-5011, AIAA 3rd International Aerospace Planes Conference, December 1991, Orlando, Florida. Balepin, V.V. (1996) "Air Collection Systems'', Developments in High-Speed-Vehicle Propulsion Systems, edited by S.N.B. Murthy and E.T. Curran, AIAA Progress in Aeronautics, Vol. 165, Washington, DC. Balepin, V.V. and Hendrick, P. (1998) "Application of the KLIN Cycle to Vertical Take-Off Lifting Body Launcher'', AIAA-98-1503. Balepin, V.V. and Tjurikov E.V. (1992) "Integrated Air Separation and Propulsion System for Aerospace Plane with Atmospheric Oxygen Collection'', SAE-92-0974, Aerospace Atlantic Conference, April 1992, Dayton, OH. Balepin, V.V., Harchenvnikova, G.D., Tjurikov, E.V., and Avramenko, A.Ju. (1993) "Flight Liquid Oxygen Plants for Aerospace Plane: Thermodynamic and Integration Aspects'', SAE chapter, 1993 SAE Aerospace Atlantic Conference and Exposition, April 1993, Dayton, OH. Balepin, V.V., Yoshida, M., and Kamijo, K. (1994) "Rocket Based Combined Cycles for Single Stage Rocket'', SAE 941166. Balepin, V.V., Czysz, P.A., Maita, M., and Vandenkerckhove, J. (1995) "Assessment of SSTO Performance with In-Flight LOX Collection'', AIAA-95-6047, AIAA 6th International Aerospace Planes Conference, Chattanooga, TN. Balepin, V.V., Maita, M., Tanatsugu, N., and Murthy, S.N.B. (1996) "Deep-Cooled Turbojet Augmentation with Oxygen—Cryojet for an SSTO Launch Vehicle'', AIAA 96-3036, 32nd AIAA/ASME/SAE/ASEE Joint Propulsion Conference, July 1996, Lake Buena Vista, FL. Baranovsky, S.I. et al. (1992a) "Combustion Chamber of Ramjet for Aerospace Plane'', Proceeding of the 9th World Energy Conference, Vol. 3, pp. 1583-1591, June 1992, Paris. Baranovsky, S.I. et al. 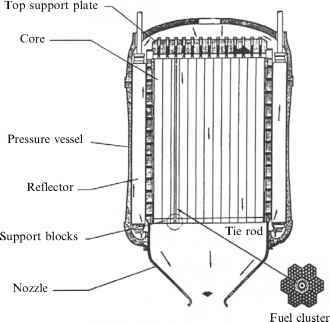 (1992b) "Experimental Study of the Hydrogen Supersonic Combustor'', Proceeding of the 9th World Energy Conference, Vol. 3, pp. 1699-1720, June 1992, Paris. Barrere, M. and Vandenkerckhove, J. (1993) "Energy Management'', ISABE 93-7016, 11th International Symposium on Air Breathing Engines, September 1993, Tokyo, Japan (published as CDROM by AIAA, Reston, VA). Batenin, V.M., Bityurin, V.A., Ivanov, G.S. Inozemzev, N.N., and Gorozhankin, P.A. (1997) Institute of High Temperatures of Russian Academy of Sciences Moscow, Russia. "Electromagnetic Complex Concept for the Horizontal Start and Landing of a Reusable Air-Space Aircraft'', 48th International Astronautical Congress, October 610, Turin, Italy. Billig, F.S. (1989) "Hypersonic Vehicles II'', 1989 Purdue Short Course on Engine Airframe Integration, Purdue University. Billig, F.S. (1993) "The Integration of the Rocket with a Ram-Scramjet as a Viable Transatmospheric Accelerator'', Proceedings of the XI ISABE, Tokyo, Published by AIAA, pp. 173-187. Bond W.H. and Yi A.C. (1993) "Prospects for Utilization of Air Liquefaction and Enrichment System (ALES) Propulsion in Fully Reusable Launch Vehicles'', AIAA-93-2025, AIAA/ SAE/ASME/ASEE 29th Joint Propulsion Conference, Monterey, June 1993. Bottini, H., Bruno, C. and Czysz, P.A. (2003) ''Is The MHD Scramjet Really An Advantage?'' AIAA 2003-5046, 39th Joint Propulsion Conference, Huntsville, Alabama, July 2003. Bruno, C. and Accettura, A. (2008) ''Advanced Propulsion Systems and Technology Today to 2020'', Chapter 5, Volume 223, Progress in Astronautics and Aeronautics, AIAA, Reston, VA.
Bruno, C., Golovitchev, V.I. and Tretyakov, P.K. (1998) ''New Trends in Improving Hypersonic Vehicles Aerodynamics and Propulsion Flow Control by External Energy Supply'', Paper 98-0-1-08V, 21st international Symposium on Space and Technology (ISTs), Omiya, Japan, May 1998. Builder, C.H. (1964) ''On the Thermodynamic Spectrum of Airbreathing Propulsion'', AIAA 64-243, 1st AIAA Annual Meeting, Washington, DC, July 1964. Buhlman, M. and Siebenhaar, A. (1995) ''The Strutjet: The Overlooked Option for Space Launch'', AIAA 95-3124, 31st AIAA Joint Propulsion Conference, San Diego, CA, July 1995. Buhlman, M. and Siebenhaar, A. (1995) ''The Strutjet: Exploding the Myths Surrounding High Speed Airbreathing Propulsion'', AIAA 95-2475, 31st Joint Propulsion Conference, San Diego, CA, July 1995. Burnett, D. and Czysz, P. (1963) ''Hydrogen Combustion Studies'', AEDC-TDR-63, Aerodynamic Division, Directorate of Engineering Test, Air Force Systens Command, Wright-Patterson AFB, Ohio, April 1963. Carlson, C.P., Kessler, R. and Schmitt, E.W. (1996) Textron Defense Systems, Everett, Massachusetts, ''Magnetohydrodynamic Generator Design for a Combined-Cycle Demonstration Powerplant'', Journal of Propulsion & Power, Vol. 12. Curran, E.T. (1993) ''The Potential and Practicality of High Speed Combined Cycle Engines'', Hypersonic Combined Cycle Propulsion, AGARD Conference Proceeding N0.479, AGARD, Neuilly-sur-Seine, pp. K1-9. Czysz, P.A. (1988a) ''Thermodynamic Spectrum of Airbreathing Propulsion'', SAE Technical Paper 881203, Future Transportation Technology Conference and Exposition, San Francisco, CA, August 1988. Czysz, P.A. (1988b) ''Air Breather vs. Rocket: Is the rocket the only reliable, demonstratable space propulsion system?'' SAE Aerospace Atlantic Conference & Exposition, Dayton, OH, April 1993. Czysz, P.A. (1989) ''Hypersonic Convergence'', Text for Hypersonic AeroPropulsion Design Course, AE-P-450-52, Parks College of Engineering and Aviation, Saint Louis University, St. Louis, Missouri. Czysz, P.A. (1992) ''Space Transportation Systems Requirements Derived from the Propulsion Performance Reported in the Hypersonic and Combined Cycle Propulsion Session at the IAF Congress''. IAF-92-0858, 43rd IAF Congress, Washington, DC, September 1992. Czysz, P.A. (1993a) ''Rocket Based Combined Cycle (RBCC) Propulsion Systems Offer Additional Options'', Proceedings of the XI ISABE, Tokyo, Published by AIAA, New York, pp. 119-137. Czysz, P.A. (1993b) ''Hydrogen Combustion Studies—Revisited'', 1993 JANNAF Conference, Albuquerque, NM, February 1993. Czysz, P.A. (1995) ''Interaction of Propulsion Performance with the Available Design Space'', Proceedings of the XII International Symposium on Air Breathing Engines (ISABE), Melbourne, Australia, September 1995. Czysz, P.A. (1999) ''Combined cycle propulsion—is it the key to achieving low payload to orbit costs'', ISABE Paper 99-7183, XIV International Symposium on Air Breathing Engines (ISABE), Florence, Italy, September 1999. Czysz, P.A. and Froning, H.D. (1995) ''A Propulsion Technology Challenge—Abortable, Continuous Use Vehicles'', IAF-95-S.2..03, 46th IAF Congress, Oslo, Norway, October 1995. Czysz, P.A. and Little, M. (1993) ''Rocket-Based Combined Cycle Engine (RBCC)—A Propulsion System for the 21st Century'', AIAA-93-5096, Munich, Germany. Czysz, P.A. and Murthy, S.N.B. (1991) ''Energy Analysis of High-Speed Flight Systems'', High-Speed Flight Propulsion Systems, AIAA Progress in Astronautics and Aeronautics, Vol. 137, edited by E.T. Curran and S.N.B. Murthy, AIAA, Washington, DC, pp. 183-186. Czysz, P.A. and Richards, M.J. (1998) ''Benefits from Incorporation of Combined Cycle Propulsion'', AIAA-98-S.5.10, 48th IAF Congress, Melbourne, Australia, October 1998. Czysz, P.A. and Vandenkerckhove, J. (2001) ''Transatmospheric Launcher Sizing'', Scramjet Propulsion, editors E.T. Curran and S.N.B. Murthy, Progress in Astronautics and Aeronautics, Vol. 189. AIAA, Reston, VA.
Czysz, P.A., Froning, H.D., and Longstaff, R. (1997) ''A Concept for an International Project to Develop a Hypersonic Flight Test Vehicle'', Proceedings of The International Workshop on Spaceplanes/RLV Technology Demonstrators. Tokyo, Japan, March 1998. Czysz, P.A., Bruno, C. and Kato, K. (2001) ''Interactions between Propulsion Systems and the Configuration Concepts Defines the Design Space'', AIAA-2001-1924, 10th International Space Planes and Hypersonic Systems and Technologies Conference, Kyoto, Japan, April 2001. Daniau, E. (2002) ''Pulse detonation engine, concept, performance and applications'', ISU/ AAAF Short Course, Versailles, France, May 2002. Der, J.Jr. (1991) ''Characterizing Ejector Pumping Performance'', AIAA Journal of Propulsion & Power, May-June 1991. Doublier, M., Pouliquen, M. and Scherrer, D. (1988) ''Combined Engines for Advanced European Launchers'', IAF-88-251, 39th IAF Congress, Bangalore, India, October 1988. DuPont, A. (1999) ''Further studies of optimized inlets to hypersonic turbine engines'', ISABE-99-7039, 114th International Symposium for Air Breathing Engines (ISABE), Florence, Italy, September 1999. Eckel, H.-A. and Schall, W. (2008) ''Laser Propulsion Systems'', in: Advanced Propulsion Systems and Technologies: Today to 2000, edited by C. Bruno and A. Accettura, AIAA Progress in Astronautics and Aeronautics, Vol. 223, AIAA, Reston, VA, Ch. 14. Escher, W.J.D. (1994) ''Motive Power for Next Generation Space Transports: Combined Airbreathing + Rocket Propulsion'', private communication. Escher, W.J.D. (1996a) ''A Winning Combination for Tomorrow's Spaceliners'', Aerospace America, American Institute of Aeronautics and Astronautics, Washington, DC, pp. 3843. Escher, W.J.D. (1996b) ''Rocket-Based Combined Cycle (RBCC) Powered Spaceliner Class Vehicles Can Advantageously Employ Vertical Takeoff and Landing (VTOL)'', AIAA 95-6145, 6th International Aerospace Planes and Hypersonic Technologies Conference, Chattanooga, TN, April 1996. Escher, W.J.D. (1998) ''A History of RBCC Propulsion in the U.S.—A Personal Recounting'', White Paper, Kaiser Marquardt, Van Nuys, CA. Esteve, M.D. et al. (1977) ''ODYSSEUS, Technology Integration for a Single Stage to Orbit Space Transport Using MHD Driven Propulsion'', Senior Design Study, Parks College of Aerospace and Aviation, Saint Louis University, St. Louis, MO. Gorelov, V.A., Gladyshev, M.K., Kireev, A.Yu., Korolev, A.S., Nikol'sky, V.S., Byzov, V.N., Fedosov, B.M. and Zhukovsky L.II. (1995) ''Ionization Near Hypersonic Vehicles: The Experience of Numerical, Laboratory and Flight Investigations", AIAA 95-1940, 26th AIAA Plasmadynamics & Lasers Conference, San Diego, CA, June 19-22, 1995. Gorelov, V.A. Gladyshev, M.K. Kireev, A.Y. Korolev, A.S., Yegorov, I.V., and Byzov, V.N. (1996) ''Computational and Experimental Investigations of Ionization near Hypersonic Vehicles'', Journal of Spacecraf t & Rockets, Vol. 33, No. 6. Gopalaswami R., Gollakota S., Venugolapan P., Nagarathinam M., and Sivathanu P.A. (1990) ''Concept Definition and Design of a Single-Stage-To-Orbit Launch Vehicle HYPERPLANE'': IAF-88-194, 39th IAF Congress, Bangalore, October 1990. Gounko, Yu.P., Kharitonov, A.M., Latypov, A.F., Mazhul, I.I. and Yaroslavtsev, M.I. (2000) ''Technique for Determination of Heat Fluxes and Force Characteristics of Ramjet/Scramjet Models in a Hot-Shot Wind-Tunnel'', Institute for Theoretical and Applied Mechanics SB RAS, Novosibirsk. Gurijanov, E.P. and Harsha, P.T. (1996) ''AJAX, New Directions in Hypersonic Technology'', AIAA Paper 96-4609. Harney, J. (1967) ''Similarity of Nonequilibrium Expansion in Hypersonic Nozzles'', FDM-TM-67-1. Air Force Flight Dynamics Laboratory, Wright-Patterson AFB, Ohio, May 1967, AD664084. Harper, R.E. and Zimmerman, J.H. (1942) ''An Investigation of Rocket Engine Thrust Augmentation with a Nozzle-Ejector System'', AEDC Report TRD-62-42. Heiser, W.H. and Pratt, D.T. (2002) ''Thermodynamic Cycle Analysis of Pulse Detonation Engines'', AIAA Journal of Power. Hendrick, I.P. (1996) ''SSTO and TSTO LOX Collection System Performances: Influence of LOX Plant Architecture'', ICAS-96-3.8.3. Kailasanath, K. (2002) ''Recent Developments in the Research on Pulse Detonation Engines'' (Invited), AIAA 2002-0470, 40th AIAA Aerospace Sciences Meeting & Exhibit, Reno, NV, January 14-17, 2002. Kanda, T., Tomioka, S., Ueda, S., Tani, K and Wakamatsu, Y. (2005) ''Design of Sub-scale Rocket-Ramjet Combined Cycle Engine Model, Paper 1AC-05-C4.5.03. Presented at the 56th International Astronautical Congress, Oct. 16-21, Fukuoka, Japan. Kroon, R.P. (1952) Turbojet Performance Manual, Engineering Department, Dept. A-1200, Westinghouse Electric Corporation, Aviation Gas Turbine Division. Lashin, A.I., Kovalevski, M.M., Romankov, O.N. and Tjurikov, E.V. (1993) ''Combined Propulsion System for Advanced Multipurpose Aerospace Plane (ASP)'', IAF-93-S.4.479, 44 IAF Congress, Graz, Austria, October 1993. Lee, Y.M., Nikolic-Tirkas, B., Tarrant, G., Balepin, V., Petley, D. and Czysz, P.A. (2003) ''Vortex Tube Air Separation Applications for Air Collection Cycle Hypersonic Vehicles'', 41st AIAA Aerospace Sciences Meeting and Exhibit, Reno, NV, January 2003. Leingang, J.L. (1991) Personal communication, Dayton, OH. Leingang, J.L., Maurice, L.Q., and Carreiro, Captain L.R. (1992) ''Space Launch Systems Using Collection and Storage'', IAF 92-0664, 43 IAF Congress, Washington, DC, September 1992. Legostayev, V. (1984) Private communication, IAF Congress Brighton, UK, October 1984. Lin, B.C. and Lineberry, J.T. (1995) ERC, Incorporated, Tullahoma, TN, ''An Assessment of T-Layer MHD'', AIAA 95-1933, 26th AIAA Plasmadynamics & Lasers Conference, San Diego, CA, June 19-22, 1995. Lindley, C.A. (1963) ''Performance of Air Breathing and Rocket Engines for Hypervelocity Aircraft'', Fourth Congress of the Institute of Aeronautical Sciences. Lo, R., Adirim, H., Pilz, N., Schildknecht, A., Gorsch, M., Weiser, V., Glaser, S., Schoyer, H., Reinbold, G.-F. (2005) ''Acquisition and Evaluation of Cryo-Solid Propulsion (CSP); Final Report: Summary of Most Important Results'', Aerospace Institute (AI) Technical Report TR Nr. 36/03-2005, Berlin, March 2005, and Final Report to the European Space Agency ESA ESTEC, Contract 16830/02/NL/CP, Noordwijk, The Netherlands, March 2005. Maurice, L.Q., Leingang, J.L. and Carreiro, L.R. (1992) ''The Benefits of In-Flight LOX Collection for Air Breathing Space Boosters'', AIAA paper, 4th International Aerospace Planes Conference, Orlando, FL, December 1992. Mierau, A.N., Derevyanko, V.A. and Vasilyev, E.N. (2000) ''Numerical Simulation the Periodic Operating Regime of Hypersonic Ramjet with MHD-Control'', Krasnoyarsk State University and Institute of Computational Modeling SB RAS, Krasnoyarsk. Miki, Y., Togawa, M., Tokunaga, T., Eguchi, K., and Yamanaka, T. (1991) ''Advanced SCRAM-LACE System Concept for SSTO Space Plane'', IAF-91-272: 42nd Congress of the International Astronautical Federation, Montreal, October 1991. Myrabo, L.N. (2001) ''World Record Flights of Beam-Riding Rocket Lightcraft: Demonstration of 'Disruptive' Propulsion Technology'', AIAA paper 2001-3798, 37th AIAA Joint Propulsion Conference, Salt Lake City, UT, July 2001. Myrabo, L.N. et. al. (1987) ''Apollo Lightcraft Project'', Final Report, prepared for NASA/ USRA Advanced Design Program, 3rd Annual Summer Conference, Washington, DC, June 1987. Myrabo, L.N., Messit, D.G. and Mead, F.B. (1998) ''Flight and Ground Tests of a LaserBoosted Vehicle'', AIAA 98-3735, 34th AIAA Joint Propulsion Conference and Exhibit, Cleveland, OH, July 1998. Nicholas, T.M.T. et al. (1966) ''Mixing Pressure-Rise Parameter for Effect of Nozzle Geometry in Diffuser-Ejectors'', AIAA Journal of Propulsion & Power, Vol. 12, No. 2, pp. 431-433. Norris, G. (2003) ''Pulse Power'', Flight International, Vol. 163, No. 4887, pp. 50-52. Novichkov, N. (1990a) ''Space Wings of Russia and the Ukraine'', Echo of the Planet/ Aerospace, Moscow, September. Novichkov, N. (1990b) Private communication, IAF Congress, Graz, Austria. Ogawara, A. and Nishiwaki, T. (1989) ''The Cycle Evaluation of the Advanced LACE Performance'', IAF-89-313, 40th IAF Congress, Malaga, Spain, October 1989. Pegg, J., Hunt, L. and Petley, D.H. (1993) Design of a Hypersonic Waverider-Derived Airplane, AIAA Paper 93-0401, AIAA Aerospace Sciences Conference, Reno, NV, January 1993. Riggins, D.W. (1996) ''Brayton cycle engine/component performance assessment using energy and thrust-based methods'', AIAA1996-2922. 32nd AIAA Joint Propulsion Conference, Lake Buena Vista, FL, July 1996. Rudakov, A.S. (1993) "Cryogenic Propellant Rocket Engine Problems; Liquid Air Rocket Engines & Some Perspective of Engines'', unpublished. Rudakov, A.S. and Balepin, V.V. (1991) ''Propulsion Systems with Air Precooling for Aerospaceplane'', SAE 911182, SAE Aerospace Atlantic, Dayton, OH, April 1991. Rudakov, A.S., Gatin, R.Y. et al. (1991b) ''Analysis of Efficiency of Systems with Oxidizer Liquefaction and Accumulation for Improvement of Aerospace Plane Performance'', IAF-91-279, 42nd IAF Congress, Montreal, Canada, 1991. Rudakov, A.S., Gatin, R.Y., Dulepov, N.P., Koralnik, B.N., Harchevnikova, G.D., and Yugov, O.K. (1991c) ''Analysis of Efficiency of Systems with Oxidizer Liquefaction and Accumulation for Improvement of Spaceplane Performance'', IAF-91-270, 42nd Congress of the International Astronautical Federation, Montreal. Scherrer, D. (1988) ''Evaluation du Concept de Fusee-Statoreacteur pour la Propulsion Hypersonique'', ONERA Activities, ONERA Paris, France, April, 1988. Scott, T. and Riggins, D.W. (2000) ''Work Interaction in Quasi-One Dimensional Flows'', Journal of Propulsion & Power, Vol. 16, No. 6, pp. 1053-1059. Smereczniak, P. (1996) ''Electromagnetic Drag Reduction (EMDR) Program'', Developed for Aeronautical Systems Center Planning Directorate (ASC/XR), Contract F33657-96-D-2004-0002. Stroup, K.E. and Pontez, R.W. (1968) ''Ejector Ramjet Systems Demonstration'', The Marquardt Corporation final report under USAF Contract AF33(615)-3734, report AFAPL-TR-67-118. Swithenbank, J. (1984) Oral presentation on scramjet research at Sheffield University, May 1984. Swithenbank, J. and Chigier, N.A. (1966) ''Hypersonic Airbreating Propulsion'', Progress in the Aero. Sciences, Volume 8, Pergamon Press, NY, pp. 229-294. Swithenbank, J. and Chigier, N.A. (1969) ''Vortex Mixing for Supersonic Combustion'', Proceedings of !2th Symposium (International) on Combustion, The Combustion Institute, pp. 1153-1182. Szames, A. (2001) ''Enquete sur une enigme avion hypersonique Ajax'', Air et Cosmos, No. 1777, pp. 22-24. Tanatsugu, N. (1987) ''Analytical Study of Space Plane Powered by an Air-Turbo Ramjet with an Intake Air Cooler'', IAF-87-264, IAF Congress, Brighton, UK, October 1987. Tanatsugu, N. (1999) ''Thermal management of precooled ATREX engine with expander cycle'', ISABE Paper 99-7026, XIV International Symposium on Air Breathing Engines (ISABE), Florence, Italy, September 1999. Togawa, M., Aoki, T. and Hirakoso, H. (1991) ''A Concept of LACE for SSSTO'': IAF-91-5011: 3rd International Aerospace Planes Conference, Orlando, FL, December 1991. Townend, L. (1986) Oral presentation to NASP technical team on scramjet test in 1966, Hampshire, UK, April 1986. Townend, L. and Vandenkerckhove, J. (1994) ''External Afterburning and Shock-Confined Combustion in Supersonic Flow'', APECS-VDK 001/94, ESA contract 120285. Tretyakov, P. (1995) ''Supersonic Flow around Axisymmetric Bodies with External Supply of Mass and Energy'', Institute of Theoretical and Applied Mechanics SB RAS, Russia. Tretyakov, P.K., Golovitchev, V.I. and Bruno, C. (1995) ''Experimental and Numerical Study of Counterflow jet Flame Stabilization in a Supersonic Air Stream'', XII ISABE, Melbourne, Australia, September 10-15, 1995. Vandenkerckhove, J.A. (1986) Personal communication with respect to Von Karman at CalTech, March 1986. Vandenkerckhove, J.A. (1991) ''A First Assessment of Scramjet-Propelled Single-Stage-To-Orbit (SSTO) Vehicles'', VDK System S.A., WLC Phase 5, WP 260, chapter 1, Brussels, Belgium. Vandenkerckhove, J.A. (1992a) ''SSTO Configuration Assessment'', VDK System S.A., WLC Phase 5, WP 260, chapter 2, revision 1, Brussels, Belgium. Vandenkerckhove, J.A. (1992b) ''A Peep Beyond SSTO Mass Marginality'', IAF-92-0656, 43 IAF Congress, Washington, DC, September 1992. Vandenkerckhove, J.A. (1993a) ''HYPERJET Mk #3, a rocket derived combined engine'': a VDK System report. Vandenkerckhove, J.A. (1993b) ''Comparison between Ejector-Ramjets and Turbo-Ramjets for TSTO Propulsion'', Fifth International Aerospaceplanes Conference AIAA-93-5095, Munich, November 1993. Wu, Y., Ma, F., and Yang, V. (2002) ''System Performance and Thermodynamic Cycle Analysis of Air-Breathing Pulse Detonation Engines'', AIAA 2002-0473, 49th AIAA Aerospace Sciences Meeting 7 Exhibit, Reno, NV, January 2002. Yamanaka, T. (2000) ''Innovative Breakthroughs to a Reusable STS'', private communication. Yamanaka, T. (2004) ''Fundamentals of Airbreathing Rocket Combined Cycle (ARCC) Engine and Design of an ARCC Engine Powered Single-Stage-To-Orbit (SSTO) Vehicle'', Beyond the atmosphere CDROM, July 2004. Yugov, O.K. et.al. (1989) ''Optimal Control Programs for Airbreathing Propulsion System or Single-Stage-to-Orbit Vehicles''. IAF-89-308, 40th IAF Congress, Malaga, Spain, October 1989. Zagaynov, G.I., and Plokhikh, V.P. (1991) ''USSR Aerospace Plane Program'', AIAA-91-5103, 3rd International Aerospace Planes Conference, Orlando, FL, December 1991.